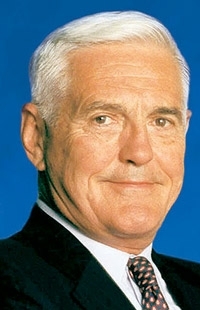 Former GM Vice Chairman Bob Lutz has sold all his remaining stock in the carmaker. DETROIT -- Six General Motors executives disclosed last week that they sold almost $315,000 in stock and liquidated their remaining direct holdings in the struggling automaker. In filings with U.S. securities regulators, the GM insiders, including Bob Lutz, former vice chairman and product chief, detailed stock sales on their behalf on May 8 and May 11 during a trading window for such transactions. Lutz, now an adviser to the automaker, sold $130,989 worth of GM stock at the closing price of $1.61 on May 8. That sale of the 81,360 shares cleared out all of Lutz's direct holdings of GM stock, according to his filing with the Securities and Exchange Commission. According to the filings, the five other executives who sold all their GM stock were Lutz's successor, Tom Stephens; GM North America President Troy Clarke; Chief Information Officer Ralph Szygenda; manufacturing chief Gary Cowger; and Carl-Peter Forster, head of European operations. GM is headed for either a bankruptcy filing or an out-of-court restructuring that would wipe out current stockholders by flooding the market with new shares to pay off creditors. The automaker's stock could be either worthless in a bankruptcy or worth less than 2 cents per share if GM proceeds with plans to issue shares to creditors, led by the Treasury Department, the company has said. Insider-trading restrictions have prevented GM's senior executives from selling stock for most of this year as GM has scrambled to restructure under the oversight of the Obama administration's automotive task force. But GM spokeswoman Julie Gibson said that after the company filed its quarterly report with the SEC this month, the executive officers and directors were notified that a "trading window" had opened on May 8.